The NBA universe exploded this past week when frustrated superstar Jimmy Butler was finally dealt by a directionless Timberwolves team to the Philadelphia 76ers. Along with oft-injured sophomore Justin Patton, the Wolves dealt Butler in exchange for Robert Covington, Dario Saric, Jerryd Bayless and a 2022 second round draft pick. The trade marked the end of a nearly two-month standoff between Butler and Minnesota management. Though he played with the team in 10 of 14 games, Butler’s attitude clearly took a toll, as the Wolves sit at 5-9 on the young season. Most basketball fans have fixated on the swingman’s fit with a rising young Philadelphia squad. Though Minnesota relieved a huge burden by cleansing the locker room of the Jimmy Butler affair, they also lost a top-ten player. Robert Covington and Dario Saric will never reach the level of two-way dominance that Butler currently resides at. However, the deal may benefit the Wolves more than most believe. Bayless and that 2022 pick won’t make a meaningful impact, and neither will Patton for the Sixers. But installing Covington and Saric into the rotation addresses three of Minnesota’s most glaring needs– perimeter shooting, defense and frontcourt depth. At this point, the defensive potential of Andrew Wiggins is a lost cause. While he’s currently averaging 1.7 steals per game, every other metric remains stunningly poor. Covington is the antithesis of Wiggins: a defensively ferocious, low usage role-player that has grinded his way through the G-League instead of entering as a generational prospect. So far, he’s shooting a career-high 39% from deep and posting a career-best +3.0 Defensive Box Plus/Minus. Covington is also scoring a decent 11 PPG despite an extremely low usage rate (just 14%). For Wiggins, the loss of Jimmy Butler means he and Karl-Anthony Towns once again become the top scoring threats. Covington won’t upset that balance. He’ll be tasked with taking the tougher wing matchup on any given night. This leaves Wiggins as less of a liability while regaining control on offense. The best part? Covington has clear shared traits with Butler. RoCo had an even tougher path to the NBA after going undrafted out of Tennessee State University. He’s displayed a tremendous work ethic. But Covington doesn’t have the loud, alpha-male dominance that Butler possesses. This should make him a much easier fit with Wiggins and Towns. The Timberwolves have just two power forwards and two centers in their main rotation. Alongside KAT, Taj Gibson has played commendably as a 33-year-old, even adding a viable three-point shot into his arsenal. But behind those two are sharpshooter Anthony Tolliver and mysteriously fading Gorgui Dieng. Aside from Towns, none are multidimensional scorers and none are long-term answers in the frontcourt. 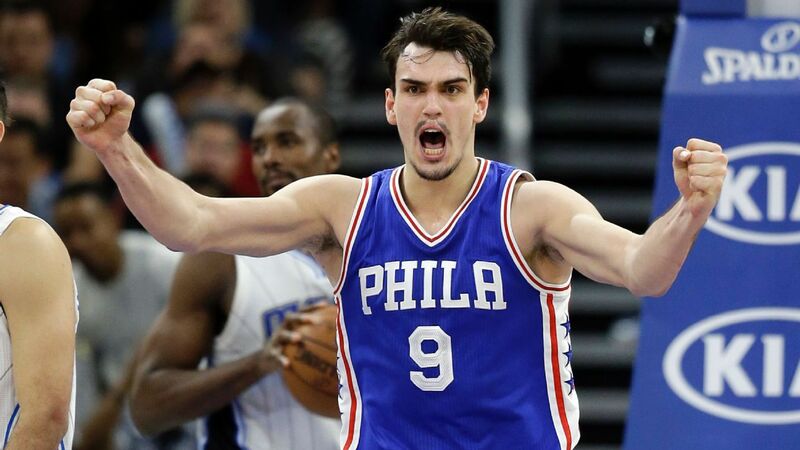 Enter Dario Saric. The Croatian is just 24 years old– a stark contrast to the aging veterans. He can switch between tall power forward and small-ball stretch 5. His deep ball has struggled this year, evidenced by a 30% clip from three, but historically it’s been effective. Saric is not great on defense, having never posted a positive DBPM, but faster than the likes of Gibson and Dieng. He’s averaged double-digit points and at least six boards every year since coming over from Europe. Head coach Tom Thibodeau should pencil Saric in as starting power forward to ease the burden of age on Gibson. Even if he doesn’t (which would be a very Thibs thing to do), Saric will be a high-minutes spark in some capacity for the T-Wolves. On paper, the Wolves have an improved balance of roles and needs. Covington and Saric may not be flashy additions, but they both address problem areas in Minnesota. They join a supporting cast that is not as putrid as believed. Josh Okogie has impressed as a rookie while Derrick Rose and Tyus Jones provide a decent amount of scoring and playmaking punch off the bench. Jeff Teague, when healthy, is a quality starting point guard that quietly ranked eighth in assists per game last season. Put together, and given time to mesh, these role players can bring a diverse set of skills to the roster. Unfortunately, the question ultimately comes down to the chemistry of three people: Andrew Wiggins, Karl-Anthony Towns and Tom Thibodeau. Thibs needs to adjust and prioritize the development of two players he cast aside. In return, Wiggins and Towns need to put their heads down and become team leaders. The Minnesota Timberwolves have a lot to change, but the Jimmy Butler trade was finally a step in the right direction. All statistics courtesy of Basketball Reference.